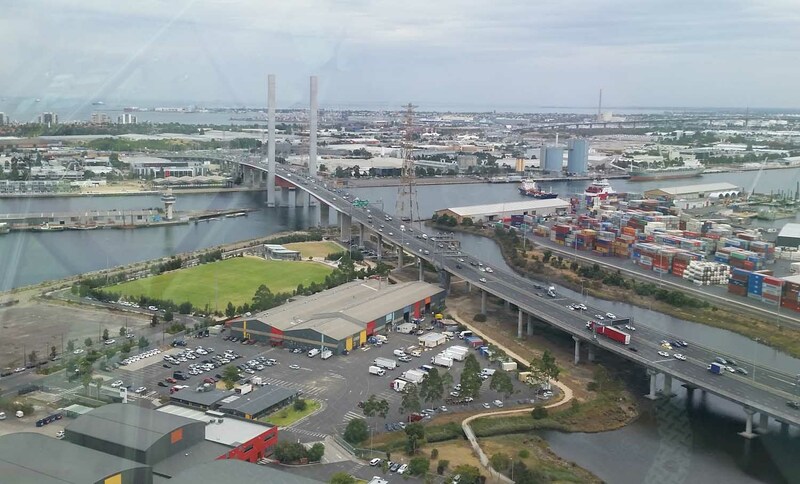 Recently I had the opportunity to ride Melbourne’s largest Ferris Wheel, the Melbourne Star. 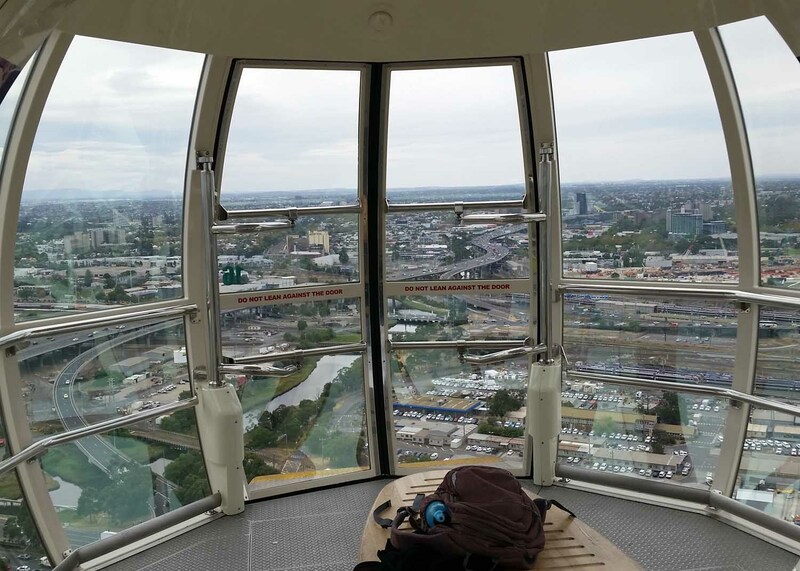 This giant wheel is in the same vein as the London Eye, it rises 120 metres above the ground and gives you a complete view of Melbourne far and wide. It’s an expensive ride at full price – $36AUD for an adult for a full circuit. Not that there are half circuits available as getting out at the top may prove hazardous to your health. Right now though there is a special on until the end of March and all rides are $15 each. So now’s the time to get aboard! There are large pods that you can walk around. And when I went the other week half of the pods if not more were empty, so sadly it doesn’t appear to be proving popular just yet. 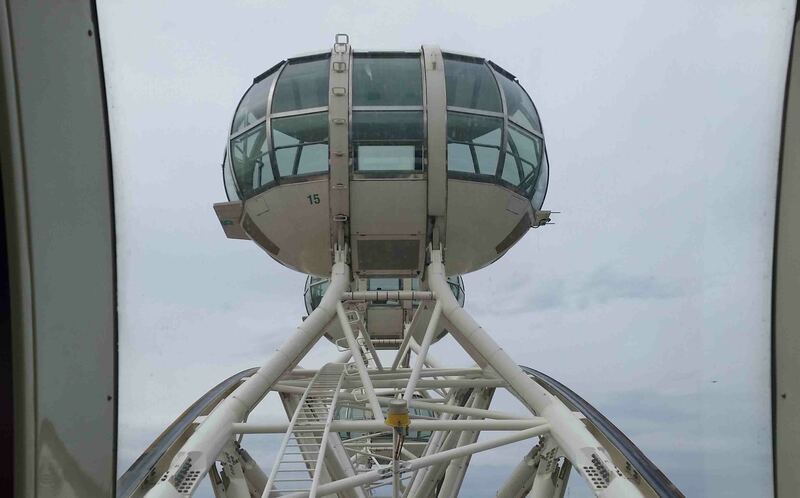 It has had a bit of a (albeit short) beleaguered history, opening two years late in 2008 and then having to be closed down in 2010 not to reopen in 2013, with most of the structure being replaced although the pods themselves and other parts remained from the original. It takes around 30 minutes to do a full spin, and as you might imagine, it doesn’t move particularly quickly. The pods have a large seat in the middle but there is plenty of room to move around and check out the view from every side. 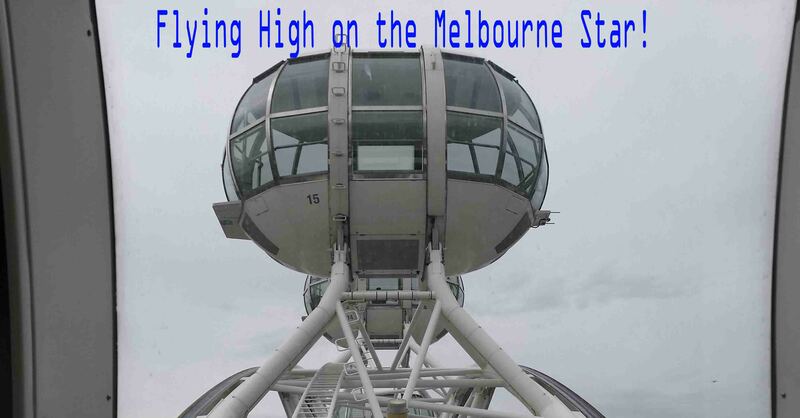 And you know – it’s a pretty cool way to see Melbourne. 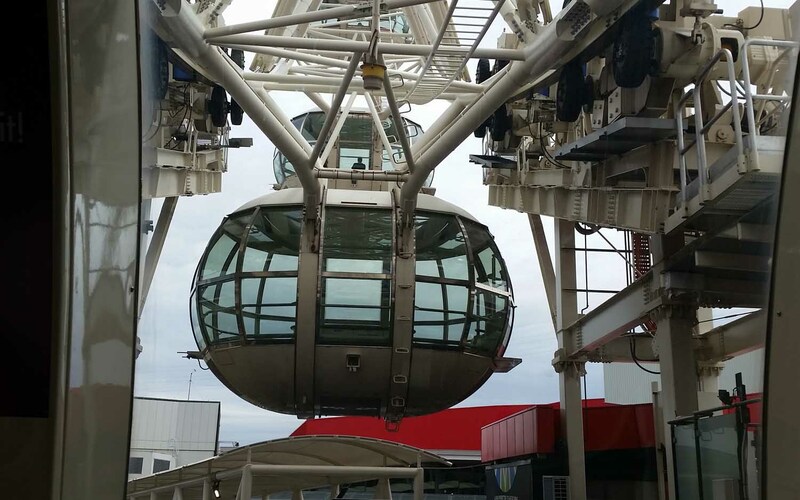 From the only Ferris Wheel of its size in the entire Southern Hemisphere. You can see out west and see the Bolte and Westgate Bridges, and further out to the Yu Yangs, a group of mountains west of Melbourne. 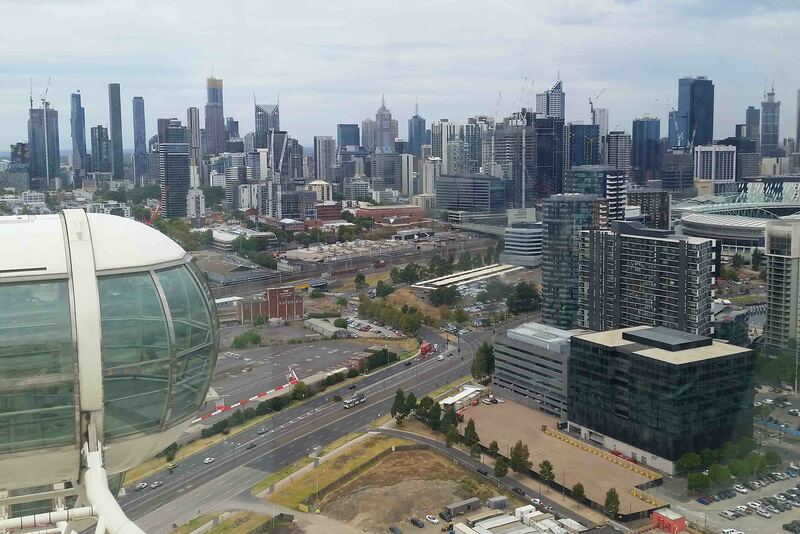 You get a look at the docklands area and the mighty-ish Yarra River, and of course you get a good look at the CBD. The best thing about it is possibly that as you get higher or lower, the view changes, ever so slowly. There is a commentary that goes along with the ride, that honestly s a bit annoying but I guess for first time visitors to Melbourne it’s useful. I just wish there was an ‘off’ button! At least it’s not continuous for the entire 30 minute ride, it comes and goes and tells you look out a certain side of your pod. Melbourne is an interesting city, and as a local it’s nice to see it from above, however I’m not sure it’s one of the world’s most visually brilliant cities. 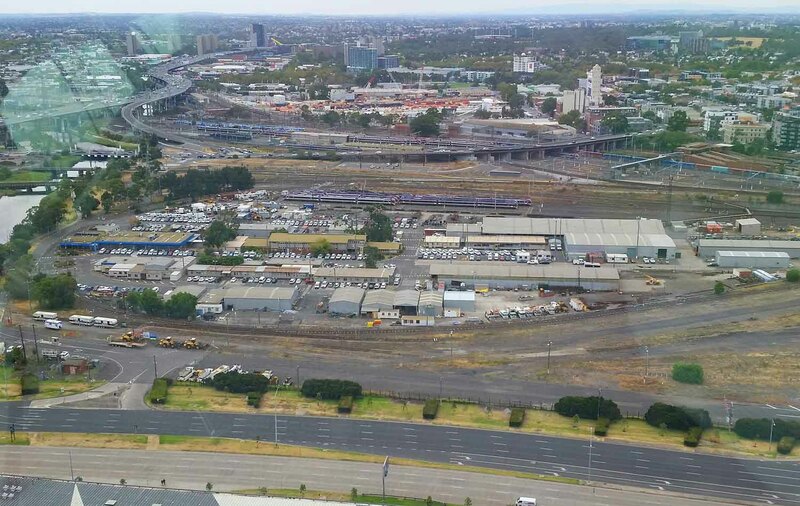 I’m not sure if it’s a better or worse view than from the Eureka Tower, but perhaps if I had to make a call it IS slightly the better view. I think you can see more at least. And further. As for the price well, if at $15 a ride they can’t fill half the pods, I can’t imagine they would put the price back up to $36 but that remains to be seen. For $15 it’s a good deal you know. There was no waiting in a queue to get on board, and there is wheelchair access too if that’s useful. At the base of the wheel you will find a number of eateries to try, a good range of food. 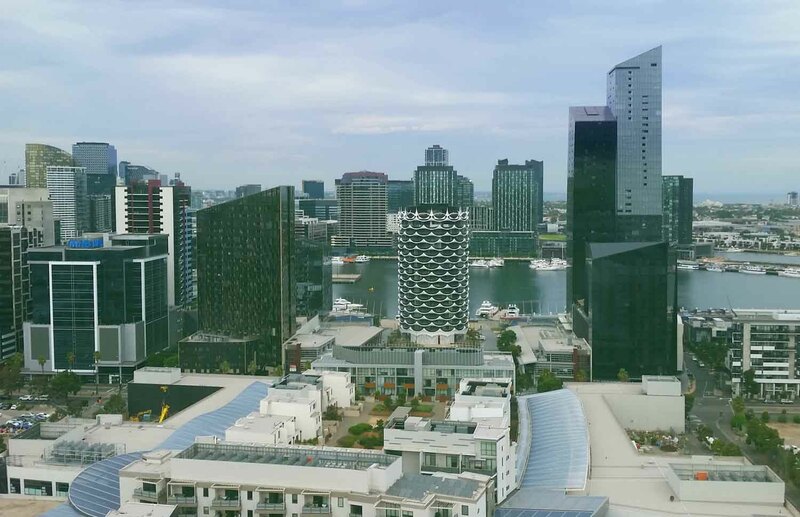 The location is a bit of a feature, it’s in Melbourne’s expanding docklands area, and about five minutes walk from the dock area which is really nice and you’ll find a couple of restaurants and Marvel Stadium. At the moment on the other side it surrounded by empty lots where construction appears to be about to commence. It’s really Melbourne’s up and coming area. All in all, I think it’s worthwhile taking at $15 and you’re in a great area to explore. If and when it reverts back to $36 a pop, well, I’d find tad too expensive to justify spending the money. It seems though that if you prebook and choose your date via their website, you can get in for only $16.50. Worth considering! Nevertheless, I found it a good way to kill 30 minutes. 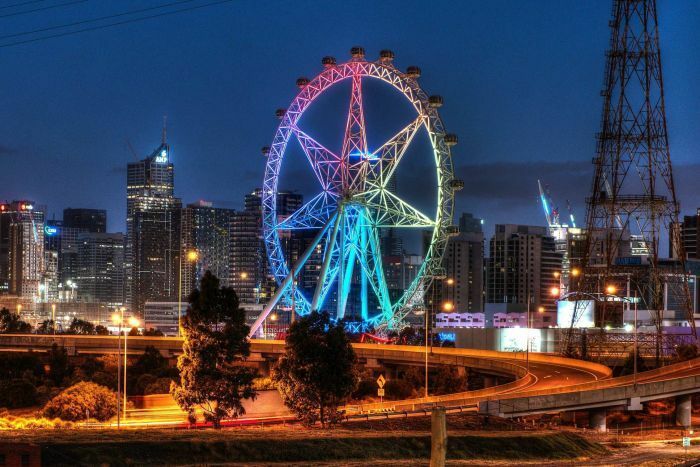 36AUD 😮 for a ferris wheel, are they mad!? And London Eye is bloody expensive too. But enough people obviously pay it or they wouldn’t continue to charge it… will be interesting to see if the Melbourne Star remains reduced or not. yeah well, if youre not getting ripped off going on it and you dont have to queue, why not??? Thanks for stopping by Tim!